Disasters happen, which is why we need to be prepared. In case of a disaster, you’ll need to keep yourself alive and moving towards safety. Being truly prepared could mean having gear in your urban survival bag that’s tailored to your surroundings. Urban dwellers won’t have the same needs as people from a more rural area. 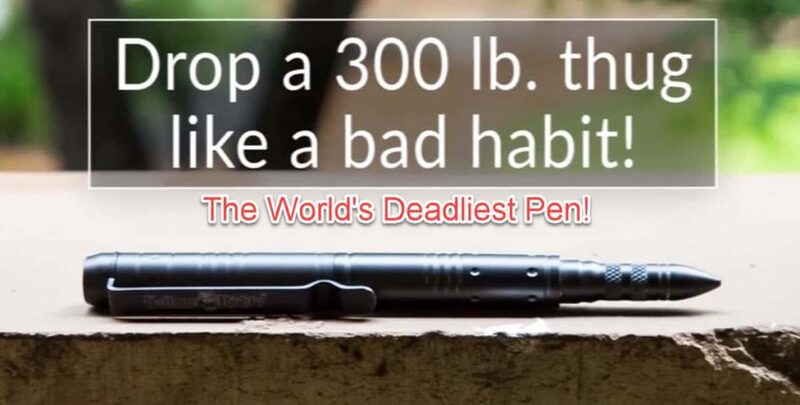 If you’re from an urbanized area, adding some essential survival gear to your get home bag might be all it takes to customize it into a perfect survival kit. 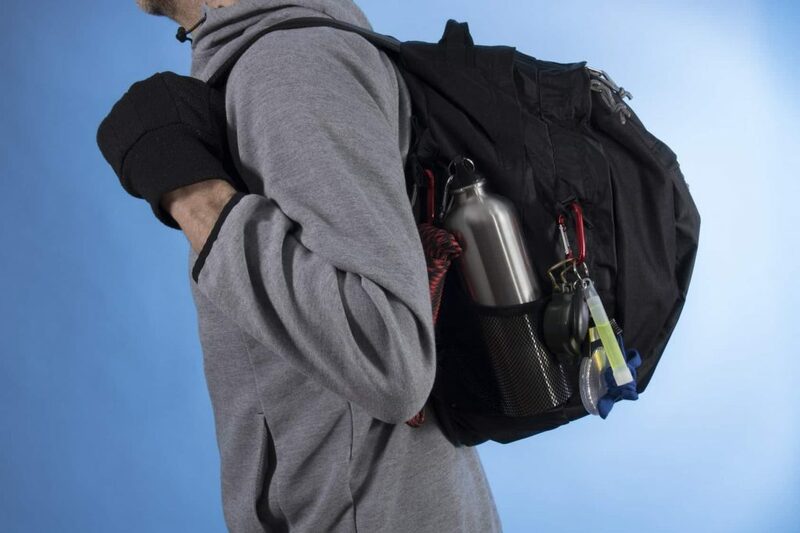 To help you get started, here’s an overview of the components to consider when building a self-sufficient urban survival kit for your bug out bag, get home bag, or backpack. 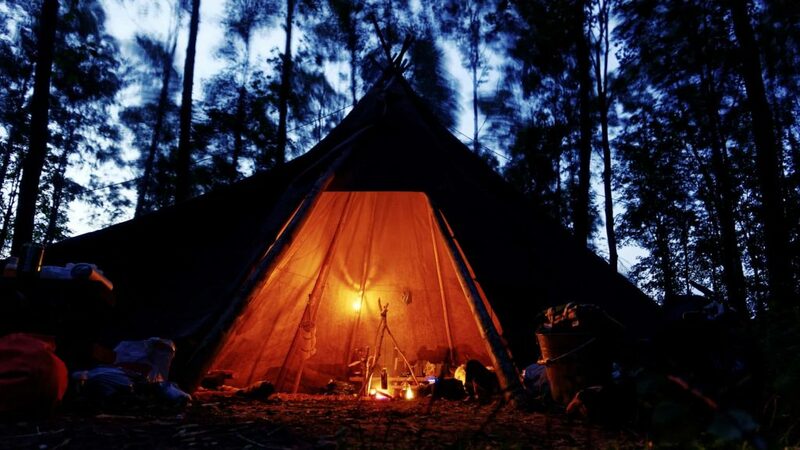 Survival situations associated with urban areas have unique attributes, several of which are worth considering when building your packing list. You need to carry a few personal items along with the survival gear. These can include important documents and spare clothes. You can use your get home bag if it’s comfortable, big enough, easy to customize and features compartments of different sizes, making it easier to organize the gear. Additionally, your backpack needs to be well-built, durable and capable of enduring the harsh urban survival environment. The ability to breach can come in handy in any urban survival scenario, making it an essential asset. In urban survival situations, the possibility of finding abandoned supply caches in cars and buildings is significantly higher. Although we are not encouraging you to loot, abandoned supplies can mean the difference between survival and death. Forcing open a car, building’s door, or container might be the only way to access the much-needed supplies. 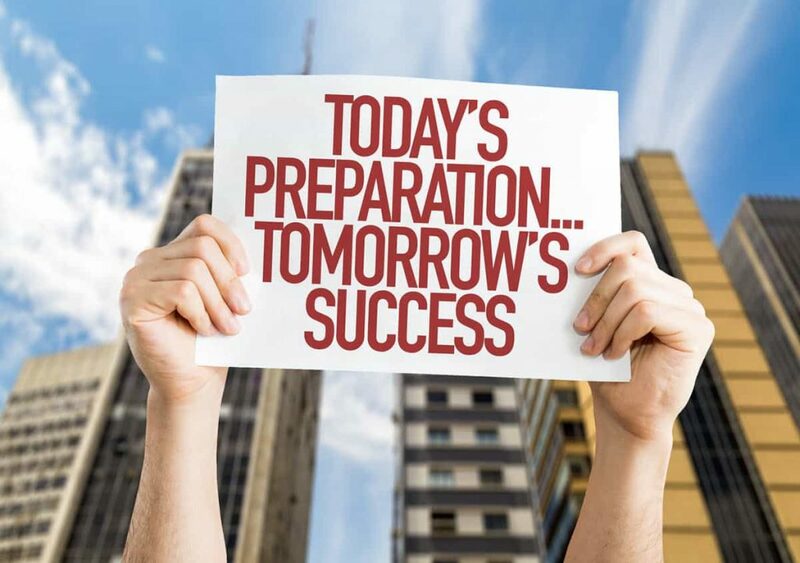 To ensure you can accomplish this, you’ll want to include some dual-purpose tools. Multitool: With this highly versatile tool, you can solve minor problems and perform all kinds of unexpected jobs. 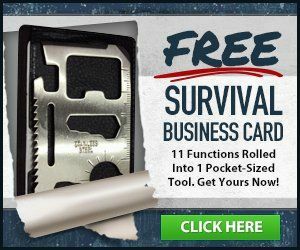 You can also use it to get out of tight situations with minimal hassle (be sure to check out this free keychain multi tool). Crowbar: Depending on the situation, crowbars can be used to chop wood, remove barriers and debris, break cinder blocks, break glass, pry doors open, and pierce sheet metal. Choose one that is compact and can double as a self-defense weapon. A small sized variant is probably the best choice since it will not occupy a lot of space. Extreme ops knife: Both the main blade and seatbelt cutter can slice through light to medium materials easily. This survival knife has to be light but just as tough and capable as a full-sized knife. Some include a glass breaking tool as well. Urban axe: This multipurpose tool is incredibly versatile and powerful. It can be a pickaxe, knife, or hatchet, whatever the situation dictates. Aside from featuring the slots needed to open and close gas mains and water hydrants, the urban axe is also an intimidating weapon. When in need of some clean water, you can use it to access a fire hydrant. In an urban survival situation, the inherently concentrated population increases the possibility of encountering other survivors. Such encounters can be good or bad depending on how you’ll handle the situation and the other survivors’ disposition. You can barter with some survivors while others can be valuable sources of information. However, some can be dangerous. When it comes to discouraging unfriendly advances, having a self-defense weapon at hand could tip the odds in your favor. Knives, pepper spray, and firearms can help boost your self-defense. A gun is good if you know how to use one. If you won’t carry a weapon, you can always repurpose the crowbar, urban axe, or extreme ops knife. 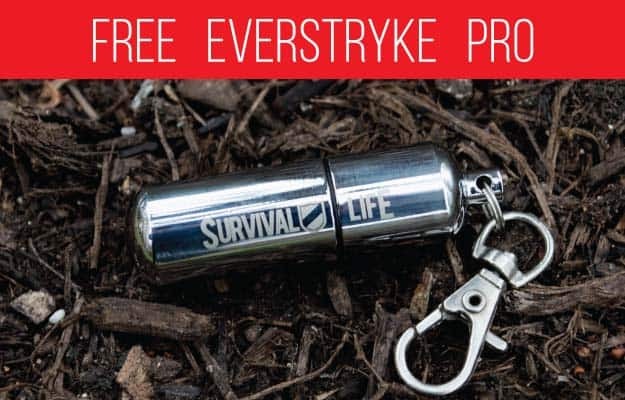 Fire-starting tools like the everstryke pro are important because you’ll need them to get a fire going. Fires can be used to signal for help, keep warm, cook, boil water, and generate light. Include at least two cigarette lighters and waterproof matches, preferably the waterproof-packaged variety. Stormproof matches will stay lit even when wet while the fuel provided by the lighters should last for months. With these tools at hand, you should have no problem starting a fire even if you are inexperienced. • At least 12 emergency ration bars that contain about 2400 calories, probably enough for two day’s hard travel. • A water bottle that can be used to store and boil water. Can opener: Allows you to access preserved food easily. You’re more likely to come across canned food in an urban center than in a rural locality. Metal spork: You can use this tool to get scavenged food to your mouth. Water valve key: Urban commercial buildings like malls usually have secured water valves located on the side. If you don’t have an urban axe, you can use this tool to access the water. In any survival situation, communication is vital. Being up to date and aware of changing events boosts your chances of survival by allowing you to make sound decisions. Including an emergency radio is the first step to ensuring you’ll be kept in the loop. 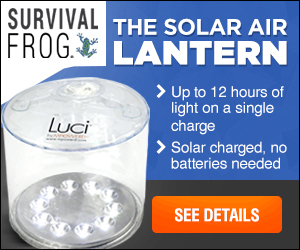 Hand-cranked and solar-powered models that can charge mobile devices via a USB port are probably the best choice. Apart from getting information from external sources, you’ll want to communicate with members of your group and be able to signal other survivors or rescue parties from afar. 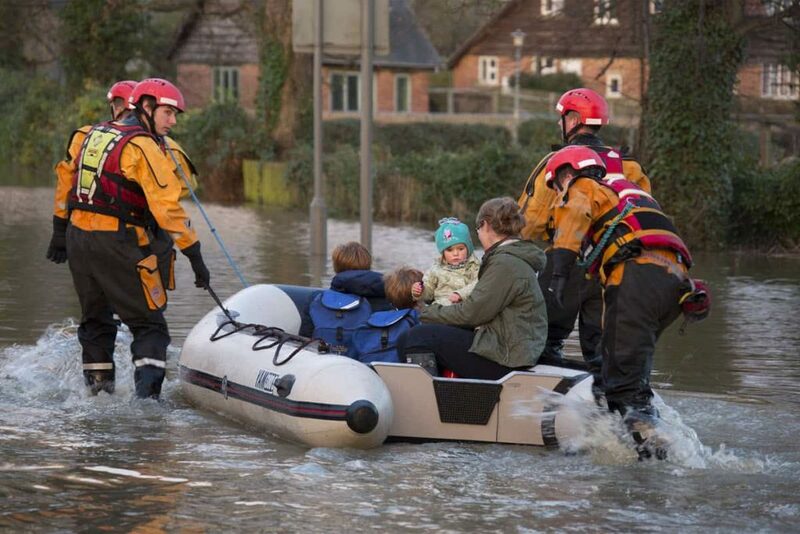 An emergency whistle is perfectly suited to this task, making it an important inclusion. Ammonia inhalants: Used to revive someone who’s passed out, and can, therefore, allow your group to keep moving after one of you has been injured. Potassium Iodine tablets: Used to protect against radiation damage resulting from dirty bombs and other radiological attacks. • Work gloves to protect your hands and keep them working much longer. • Dust mask to protect your lungs from potentially toxic airborne particles. • Safety goggles to protect your eyes. • At least four pairs of foam-based plugs to protect your ears. When building an urban survival kit, one of the biggest challenges is ensuring the gear you’ve chosen is reliable and tough enough. 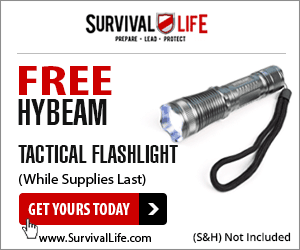 Use the pointers listed above to build a lightweight, compact, and easy to use survival kit, one that you can bet your life on.